The popular, comfortable, the long-wearing and hard-working…….zen. 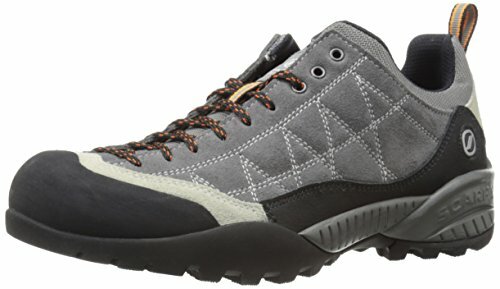 People love the zen, with its to-the-toe lacing and vibram spyder sole, it climbs like an approach shoe. It also hikes well, scrambles with aplomb, kicks around town; you name it, the zen can probably do it. The leather upper wears for years and the midsole construction gives you far more support than a running or approach shoe. If you have any questions about this product by SCARPA, contact us by completing and submitting the form below. If you are looking for a specif part number, please include it with your message.